Mateo was under the impression that when he returned to his regular pattern, he would find himself back in the Snow White coffin; under automatic quarantine. But he was wrong. He was standing up, but it was pitch black, so he had no idea where he was. He could be thousands of miles from home for all he knew. His father was quite obviously a time traveler, but they had jumped through so many years that there was no way to know whether they had also moved through space or not. 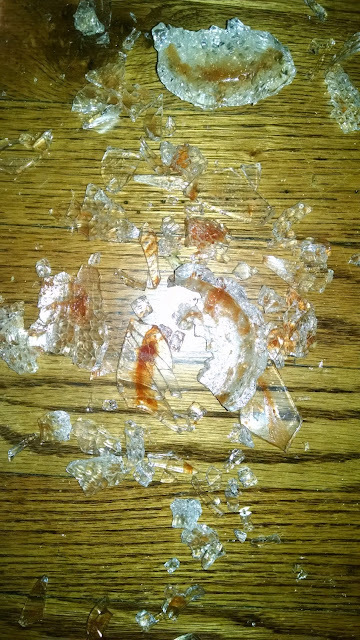 He waved his arms around, looking for a lightswitch, but accidentally knocked a glass off of the counter. When the light came on, the room looked familiar. He was almost completely certain that he was in his mother’s new house in Colorado. He turned around and found confirmation. His mother, Carol was standing in front of him. He tried to get away from her, but she quickly wrapped her arms around him. Professor Duke Andrews came over with Leona. Together, they constructed barriers with plastic sheeting. It freaked him out a little. He knew it was for everyone’s protection, but there was a television character years back who would build rooms like this in order to kill people without leaving evidence. Once they were all finished, Leona came back in with her hazmat suit. “I’ll need to take more samples.” She got to work. She looked annoyed with him. “Tell me what happened,” she finally said. He went about explaining everything he went through in 3118; from the dome to the robot, to the self-destructing message, to his father. She then relayed the information to Duke and his mother. “I don’t think that it will destroy the world,” Duke argued. “Please tell me you’re saying that it’s less dangerous to us,” Mateo begged. He stayed behind quarantine for the remainder of the day, but the four of them still celebrated Leona’s 25th birthday together. Andrews was correct that the virus Mateo introduced did not destroy the world. As it turned out, it spread like a flu. A heavy majority of the population showed fever, sweating, cold flashes, and a loss of appetite as symptoms. But nobody became infertile as a result. In fact, Duke hypothesized that Mateo had immunized the entire human population so that, if it were ever to be created in the future, it would do little to no harm. Only a single person died from the infection; Mateo’s mother. He shouldn’t have hugged her.